Bright Ideas! The New Book Box! | Primary Planet! Bright Ideas! The New Book Box! I am so excited to be linking up with such a great group of bloggers to share ideas! Isn't this fun? I am a huge buyer of books. I do a monthly Scholastic Reading Club order. My husband gets me children's books for gifts, I shop at the book sale room at the library. Consequently I have a lot of new books every month. The new books always seem to be the most popular ones, plus I want the kiddos to get familiar with them before I put them out into the classroom library. So, the New Book Box was born! It is an extremely easy concept. After I put my name and A.R. quiz information onto my new books (if they have an A.R. quiz that is) they go into the New Book Box. These can only be used during one round of reading time, then they go back into the box. 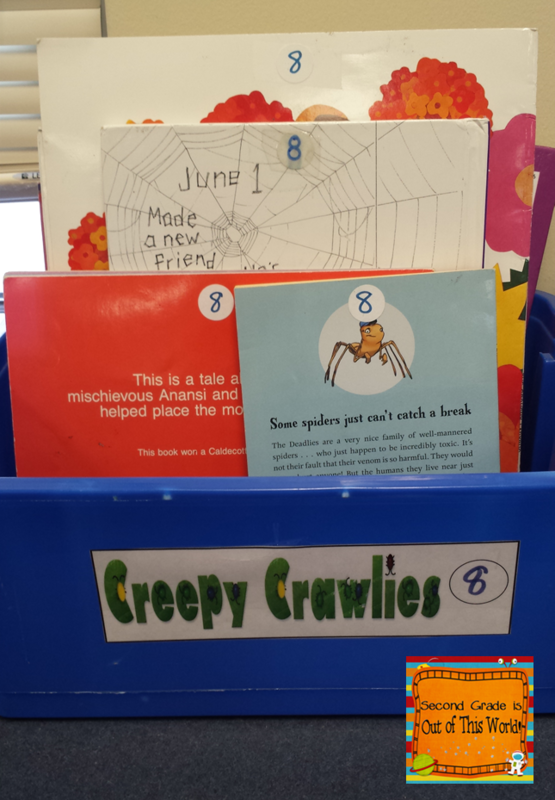 The New Books cannot be put into book boxes until they are numbered for our library (each of the boxes in my classroom are numbered in order to make it easier to put the books back in the right places). That is really all there is to it! Once I get new "new books" I number the old ones and add them to the correct boxes. I then let the kiddos know what they are out in the library and I introduce the newest New Books! Stop by Mrs. Plant's page to see a great idea about keeping students engaged through fun games! What a great idea! I am always getting new books for my library too. I was putting them on the whiteboard ledge, but they kept getting bumped off. I am going to put a box in my classroom library instead! P.S. ~ your little blue birdie is so cute, but I thought I was going crazy when it first flew across my page! Hilary, I love the idea of the box. I usually put new books on my ledge too for a few days and then file them, but this gives them an actual home and sets them apart as special! 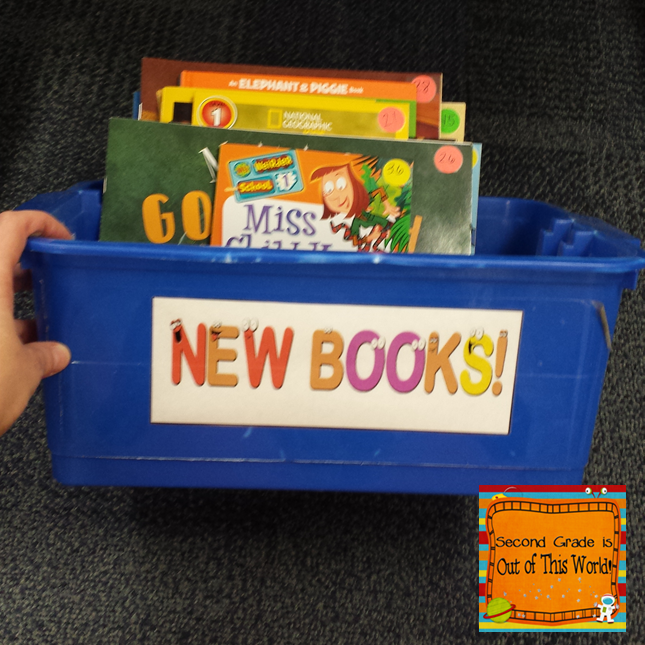 I'm so glad I'm not the only one acquiring so many new books for my classroom that I require a "new books tub." :) I sure do take a lot of flack from coworkers and family for amount of classroom books I'm always buying (new or used). Thanks so much for stopping by! My new book box is my most popular book box in my room! Great idea for new books! 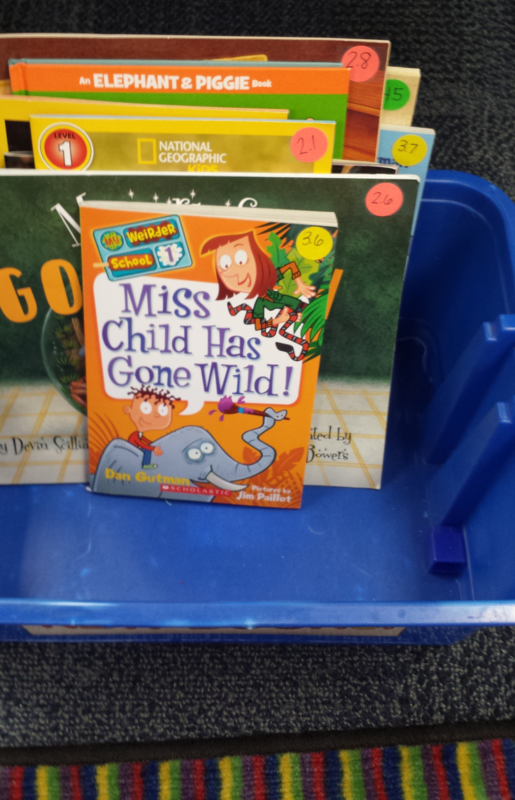 I am sure this box must be a popular place in the classroom because everyone loves new books! This is a great way to generate excitement over new books! Love it! I have always put them on the chalkboard ledge, but it gets very full sometimes! This is a simple idea but it will work really well, I'm sure. Thanks for sharing, Hilary! This would be a great way to rotate my books....new ones could be just new to my kiddos (I discovered I have 11 tubs of Dr. Seuss books). I love those great books and essaypenguins.com also choice to make own book online. I like your ideas. Get writing paper for children and students who need in essay. We write the good essay services. Get dissertation writing services online and we strongly recommended education services online via essay services.